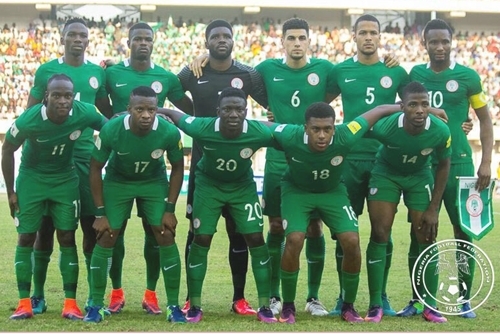 The squad list of Super Eagles whose camp ahead of Friday's international friendly against the senior national team of Poland will open today, has been released. Salisu Yusuf, the Super Eagles’ Assistant Coach, on Monday declared that Torino midfielder Joel Obi was fit to play for the senior national football team. Yusuf told the News men he was making his declaration on the basis of the fact that the Italy-based striker has had impressive appearances for his club. He described Obi as a utility player whose experience was highly needed in the Super Eagles. “Joel Obi is a very good player right from the beginning, and he was outstanding the few times he played for Super Eagles. He said the players were in high spirits with the inclusion of new players like Joel Obi and Ikechukwu Gabriel. “We shall take every match serious, and as they come, because our image and name are involved,’’ the coach said. Joel Obi played for the Super Eagles the last time in 2014, just before he got injured. Meanwhile, the Super Eagles’ camp have been opened in the Polish city of Wroclaw on Monday ahead of Friday’s international friendly against the Bialo-Czerwoni, the senior national team of Poland. The News Agency of Nigeria (NAN) reports that the two teams bound for the Russia 2018 FIFA World Cup will face off at the 43,000-capacity Stadium Wroclaw. Nigeria’s 28-man squad has been picked to also serve the purpose of the friendly against Serbia, at The Hive in London four days later. Team Administrator, Enebi Achor disclosed in a statement by the Nigeria Football Federation (NFF) on Sunday in Abuja that the Eagles would be staying at the Radisson Blu Hotel in Wroclaw. Odion Ighalo (Changchun Yatai, China); Alex Iwobi (Arsenal FC, England); Junior Ajayi (Al Ahly, Egypt); Gabriel Okechukwu (Akwa United).